In 1936 during the midst of the Great Depression Maurice Panitz left his job as manager of a large union suit manufacturing plant to start a small shirt factory. He named his company Sanford Shirt after his young son Sanford (Sandy). His philosophy was simple, he believed by working hard he could craft out a future for himself, his employees and eventually his children. He believed by applying his knowledge of the industry with his work ethic, by listening to his customers and taking care of his employees he could build a company that could last long into the future. The early days were hard but slowly Maurice built a customer base in both the retail market as well as the public sector; some of his earliest accounts were Filenes Basement, Baltimore City and the U. S. Naval Academy. In 1965 Maurice’s son Sandy took over as President with the realization the company needed to broadened its horizon. Sandy realized how limiting it was to be just a shirt manufacturer, he was feeling the price pressures caused by the lower labor costs of rural factories opening up in the south and made the decision to begin to supply uniforms to his customers as well as to manufacturer shirts. It was at this time Sandy adopted the name Hanover Uniform and began trying to be a sole source uniform supplier to all his customers. He used his knowledge of the industry to establish relationships with factories from across the globe and began supplying his customers with all their uniform needs. This business model became so successful that by 1973 Sandy stopped manufacturing retail shirts and focused solely on being a uniform supplier. Throughout the 1980’s Hanover’s business grew but Sandy also was aging and with no children of his own he realized for the business to perpetuate another generation he would need young managers to help him run the business as well as providing him a successor when he would be ready to retire. In 1990 he hired two young business men, John Mintz and Jim Villella, both had spent their careers working together in management for a large uniform company and were looking for a smaller company with a family environment that they could put their signature on and one day call their own. The three worked together and the company made dramatic strides throughout the 1990’s as Hanover continued to grow and improve. In October of 2003 as Hanover was finishing its most successful year, Sandy’s life was cut short from a fatal car accident. Thanks to Sandy’s forethought John and Jim stepped up and bought the business and Hanover didn’t miss a beat, they used their experience to assure their was no interruptions in service and used their vigor and foresight to continue to invest in Hanover’s future.  Today Hanover Uniform stands as one of the largest privately held uniform suppliers in the nation representing nearly 400 factories and supplying over 2000 customers worldwide. Hanover today has coupled their US manufacturing facilities with plants located in both Mexico and China, allowing them to manufacture nearly any garment for any purpose as efficiently as possible.Further, they have combined their supply chain with efficient warehousing, state of the art software, and the most dedicated employees of any company in the Country. Amazingly their customer base still includes Baltimore City and the US Naval Academy, but it also includes some of the nations largest parking companies, janitorial companies, airline services companies, security companies, more than 40 military schools including the US Air Force Academy, Virginia Tech Corps of Cadets, Virginia Military Institute, and many more. Also as well as some of the most prestigious accounts in the world including The White House, The Smithsonian, The American Red Cross and Johns Hopkins Hospital and University. Hanover, today, supplies over 200,000 of America’s hardest working men, women and students with their uniform needs each year and is excited for their companies future and respectful of its past. The core beliefs John and Jim carry mimic those of the founder Maurice Panitz; they believe by keeping an eye on the future, applying their knowledge of the industry, having a strong work ethic, listening to their customers and taking care of their employees they will be able to lead Hanover Uniform long into the future.